Bay Shore Outfitters will be once again hosting the popular SUP Yoga classes at Sister Bay Waterfront Park! 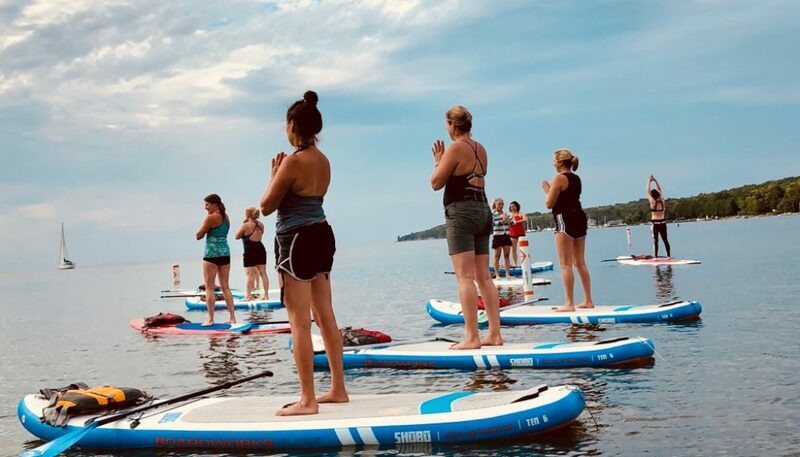 No matter your paddle board or yoga skill level, this class is sure to work your mind and body, and improve your dry-land technique. Classes are led by certified yoga instructor Amy Jacobs, who will make you feel comfortable while you push your limits.